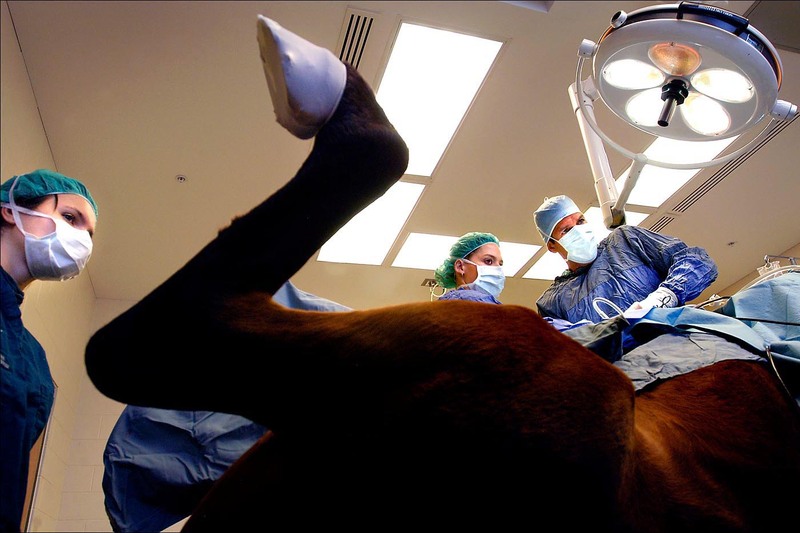 Doctors Monika Calitri and Michael Davis focus on a video monitor while working to extract a bone chip on Zambian, a 16-year-old horse at the New England Equine Medical and Surgical Center in Dover, NH. The horse had been limping for months. The hospital opened in July and has seen over 1,700 horses from all over New England.